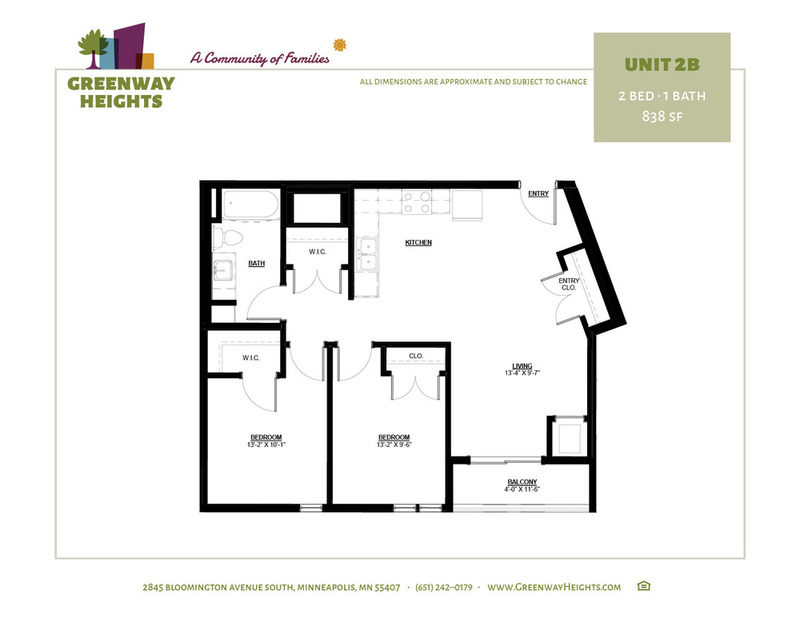 While rents are high at most new buildings, especially for larger family-sized units, Greenway Heights is priced to be affordable to working families. Greenway Heights is open to all who income qualify. Our vision is a place where everyone is accepted and families have a home where they feel welcome and supported. Legal status is not a requirement. Eligibility is subject to a positive landlord reference, good credit, and a criminal background check. Individuals with any eviction or felony conviction will be not be approved. Section 8 certificates and/or vouchers will be accepted. What are the income requirements & limitations? Greenway Heights has a minimum income requirement of two times the monthly rent as well as the following maximum income limits. in partnership with the East Phillips neighborhood.